If you have an Acer Iconia Smart S300 maybe it is time to reset Android and bring it back into factory default, either by simple maintenance or because the Android operating system is working slow, stopped working or you even may have an active pattern lock and forgot the password. The following tutorial will teach you to reset Android and return the Acer Iconia Smart S300 to its original settings with two simple techniques. To choose the right technique for your situation you should only answer one question: Do you still have working access into your Acer Iconia Smart S300 Android settings menu? If your answer is YES, then go to the first reset Android technique. If the answer was NO, then the second technique is for you. 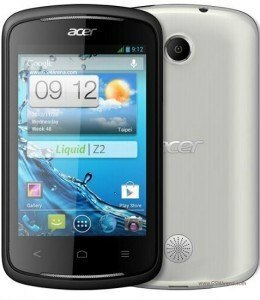 To reset Android on the Acer Iconia Smart S300 you just navigate into your settings menu. From there you tap into Privacy option, and once in there, tap on Factory data reset, then press Reset and Clear All phone. You will be able to reset Android on the Acer Iconia Smart S300 by pressing a combination of buttons which will give you access into a secret recovery mode. Hopefully you managed to reset Android on your Acer Iconia Smart S300. If not, please use the comments section so we are able to help you in a personalized way. This tutorial will explain you how to reset Android on the Acer Stream phone. Although the Acer Stream is a phone that was released over 2 years ago, you can still find it today in flea, second hand markets, being a perfectly functional, good choice on the low end spectrum. You may choose either one of the two reset Android techniques from this tutorial: Both will end up with the same result. 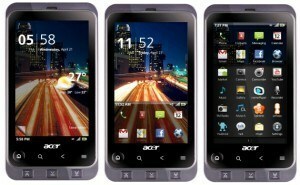 For the first technique is necessary to have working access into the applications menu of your Acer Stream phone. The second way to reset Android on the Acer Stream, may be invoked while your phone is unresponsive: Maybe you have forgotten the Android lock pattern ? To reset to Android in the Acer Stream, you must tap your way starting from the home screen, right into Settings> Privacy> Factory data reset > Reset phone and finally , Clear All . After a few minutes of waiting, the Acer Stream will restart as if just unboxed, factory defaulted.